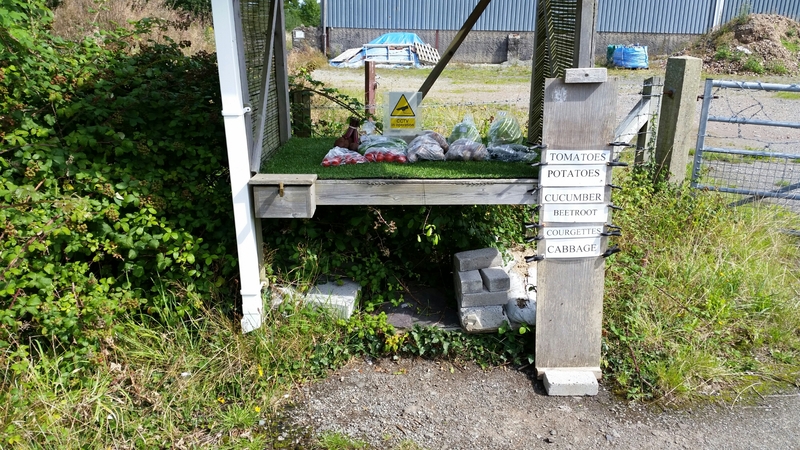 One of my favourite things in Anglesey is the little stall which is placed outside the gate of a local farm from which one can buy vegetables, including small tomatoes and huge cucumbers and occasionally eggs, on the basis of trust. I like the unpredictability of it (it’s on a back road down to the Straits). We try and go every day in order to buy something of what’s on offer. Very interesting blog, David’s place is usually spelt as Gelliniog bach, related to Gelliniog Goch (and Gellioniog ddu and Gellioniog wen, once part of the Gelliniog-Rhuddgaer grange of the Aberconwy Cistercians! Thank you. I think I must have got my spelling from the Ordnance Survey. I love the place and the simplicity of it and the fresh vegetables.